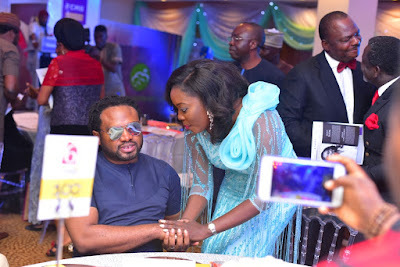 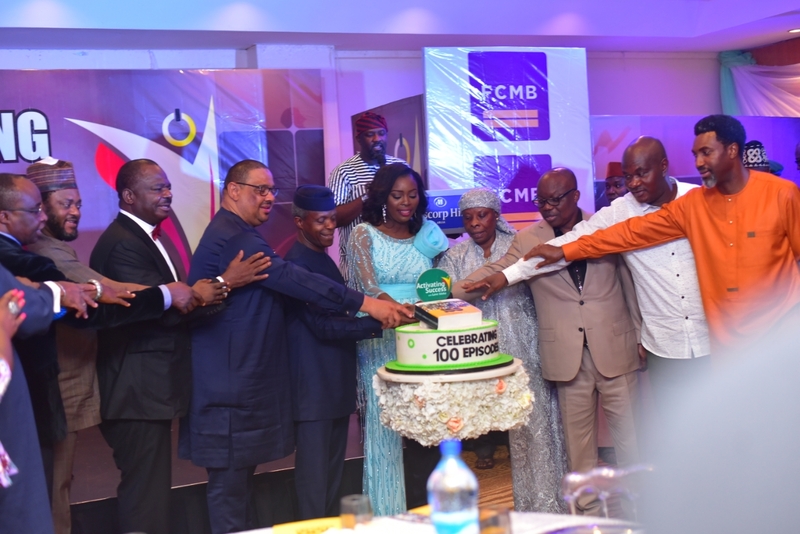 Popular TV host, Love Idoko made history in Abuja on Friday as she was joined by the vice president, Prof. Yemi Osinbajo and a host of other dignitaries to present a compendium of the first 100 episodes of her popular TV show, Activating Success with Love Idoko. 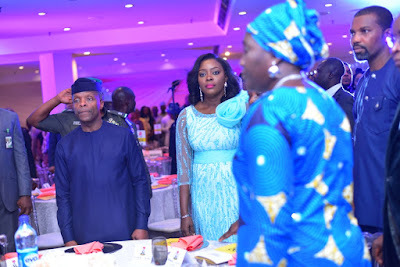 Activating Success with Love Idoko is a TV programme hinged on inspiring people, especially the younger generation to rise above average living and be the best they could be in the land. 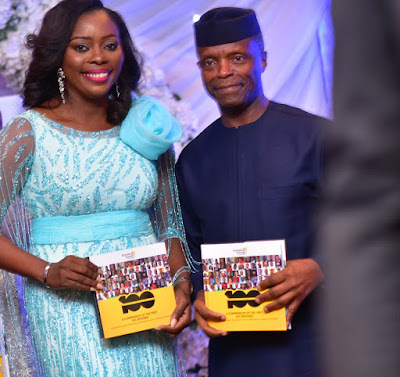 At the unveiling of the book, the VP who was the Special Guest of Honour praised Love Idoko for being an encouraging voice among Nigerian youth. 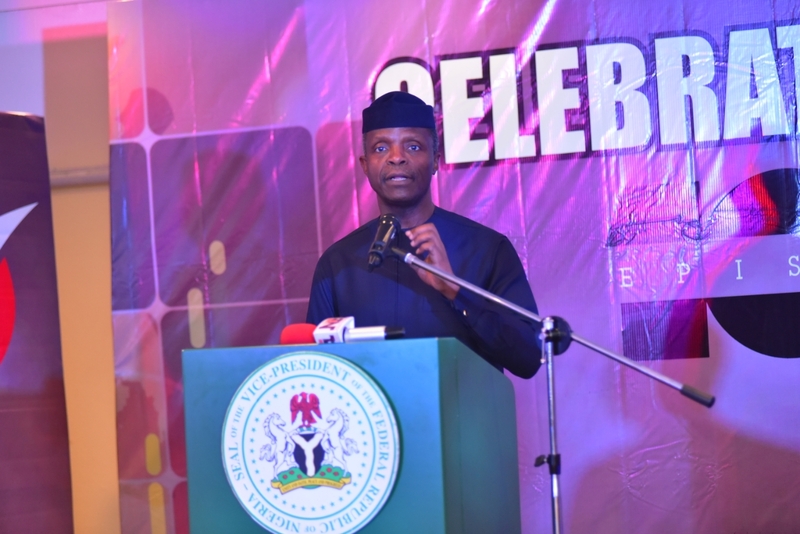 Osinbajo spoke about Nigeria and its abounding talents. “I am impressed about Nigeria and I think that what there is about this great nation is just an endless flow of talents, creativity and energy”. While commending the diligence of Love Idoko, Osinbajo hinted that one would see talents among Nigerians. 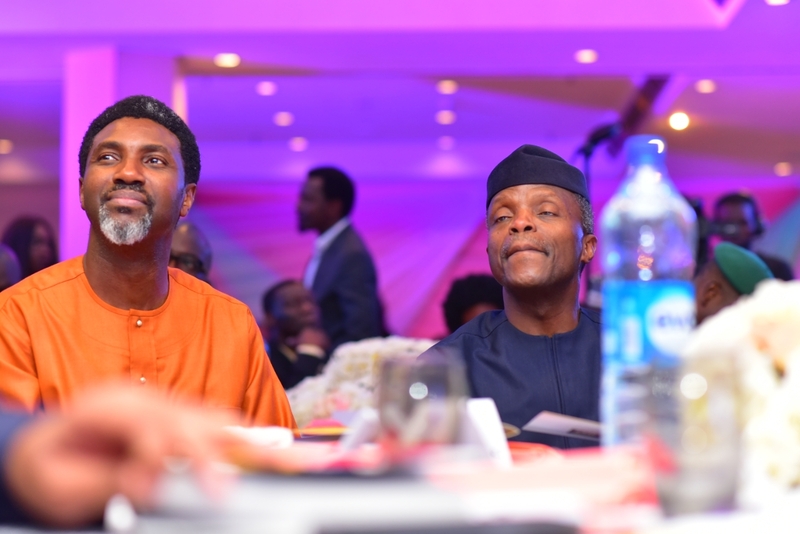 “I am extremely proud of our country and I very strongly believe that we are certainly going to be a great nation. It is not going to depend on many of us but on a lot of very young people who are multi-tasking, creative and able to stick to it a long time”. The TV show made its debuts on the 5th of June 2015 on AIT and has gone on to record over 100 episodes. 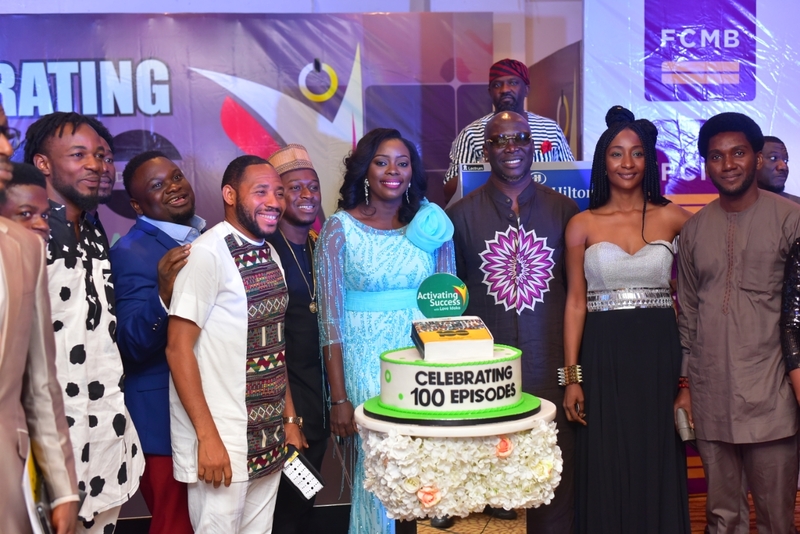 The book aptly titled, ‘Activating Success: a compendium of the first 100 episodes’ is the first of its kind as no TV programme has ever achieved the feat. Other dignitaries present were, the M.D of FCMB Mr Adam Nuru, H.E Dr Emmamuel Uduaghan, Chief Steven Lawani, a rep. of the Benue State first Lady, Justice Adah, Alex Iziyon SAN, J. Okutepa SAN, Tunde Busari SAN , Ogwu Onoja SAN, Senator Attai Aidoko,Hon Edward Onoja, Chief of staff to Kogi state Governor, Evang Lydia Idoko, M.D AIT Mrs Tosin Dokpesi, Rev. Goodheart Ekwueme, Linus Okorie, 2face Idibia, Cobhams, Gordons, Osama the Comedian, Femi Jacobs, Cally Ikpe, Segun Obe, Samuel Olatunji (BigSam),Jeremiah Gyang and more.